(Bloomberg Opinion) -- Royal Dutch Shell Plc appears at first glance to have arrived at its destination. 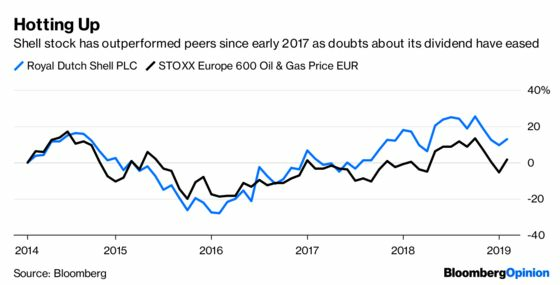 The Anglo-Dutch oil major made enough cash last year to pay its dividends and cut debt, seemingly confounding skeptics who feared the payout would need to be cut. But this isn’t yet a sustainable performance. Shell is still traveling.